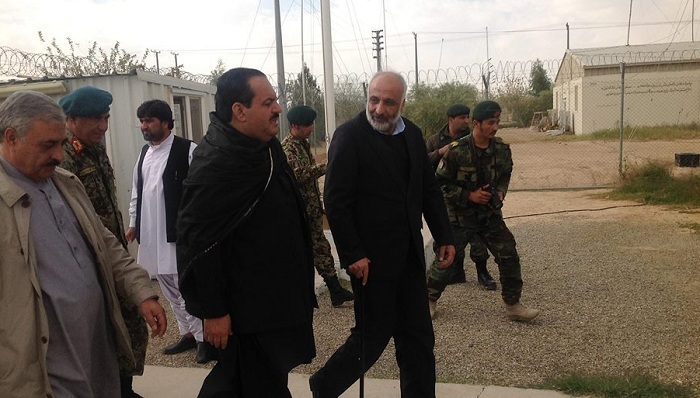 Over the past two months the stooge regime’s military chief for Helmand, the former communist Abdul Jabbar Qahraman had established contacts with nefarious elements in northern parts of the province with the hopes of executing a plan of creating an armed group under the command of Kabul but guised as something different to oppose the Mujahideen and create a nuisance. Another part of this plot was some people who also call themselves Mujahideen but had recently intensified efforts of rebelling against the Islamic Emirate. The said enemy plot was under the surveillance of intelligence department of Islamic Emirate from the very beginning and was neutralized by the Mujahideen in form of a well orchestrated multi pronged raid last night. The Mujahideen carried out a coordinated raid on the joint base of Abdul Jabbar Qahraman and nefarious elements in Karezo area of Nawzad district overnight, detaining a large number of miscreants mostly local Arbakis (militiamen) and seizing over 100 assortment of heavy and light weapons, ammunition, military gear and vehicles given to them by Abdul Jabbar Qahraman. With the said raid the Mujahideen managed to neutralize the plot of Kabul administration aimed at creating a separate group opposing the Mujahideen with the hopes of easing pressure on the regime in Helmand. No Mujahideen were harmed in the mentioned raid. Today some malicious media outlets published news about death of Helmand’s provincial governor, the respected Mullah Abdul Manan Akhund. We reject all such claims and state that he himself contacted us through radio today to share information about the incident and assure us about his health.